New, just in... Prismatic spotting scope with 45 degree ocular. variable zoom from 15-45 times magnification. 60mm lens. Fully covered in smooth rubber, rain proof. Supplied with mini tripod and carry case. 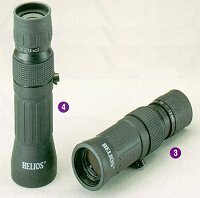 Excellent quality optics, you will be amazed!!! 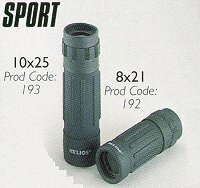 These very compact binoculars of roof prism design, with coated optics, are small enough to fit in any pocket or handbag yet give enormous magnification with great clarity Particularly popular with theatre goers and tourists who require very small and compact binoculars giving excellent performance. Very versatile and compact with fast focus. for use in early morning and twilight conditions. Fast focus. The most popular of the small sizes - ideal for most purposes. As per 8x30 but slightly better light gathering properties for use in poor light conditions - very much favoured by bird watchers. Fast focus. light gathering properties. Fast focus. unbelievable light gathering lenses, As used by professionals. A top quality Japanese monocular ef stylish, modern, innovative design. Rapid one-handed focusing operation va a slidilig control Very impressive optical performance for such a small pocket-sized unit Fully coated optics. despite their small dimensions. Excellent close focus facility Supplied with neck cord and pouch-style case. Dimensions: 68x98x33mm. Weight 1 70g. Take your first steps into the fascinating world of Astronomy! The eyepieces for these Telescopes have been specially selected to provide a much more useful and practical range of magnification than many similar models that are available to increase your viewing pleasure. Both these models offer excellent optical performance for their compact size. Fully coated optics. The optical bodies click into position at 90 degree for simple one handed operation. Both models supplied with case. 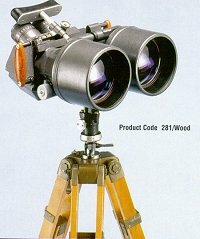 A range of high quality Japanese designed binoculars manufactured to exacting standards. Superbly finished in soft natural rubber with raised grips for a sure hold and comfortable viewing. Smooth precise focusing. Featuring BaK-7 prisms, 3-element eyepieces and fully coated lenses for excellent optical performance. Fitted with tripod bush. Supplied with neckstrap and pouch style case. 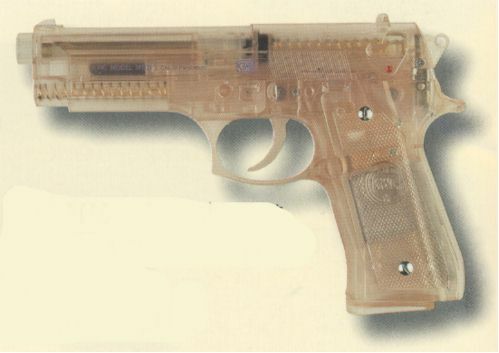 Modern Delta styled bodies with a 'soft-touch' coating. Features fully coated and part multi-coated lens surfaces. 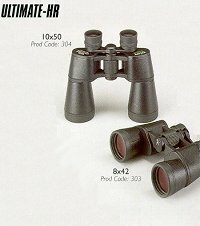 The optical performance of these binoculars is outstanding for their price bracket, providing bright, clear, images. Supplied with neckcord and pouch style case. 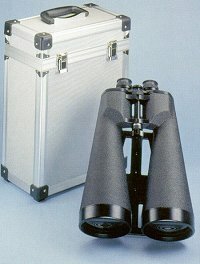 Mid-sized rubber armoured binoculars of a sleek, modern design. Extremely comfortable to hold and view. Optics provide excellent edge definition. An excellent choice for the fledging birdwatcher. Supplied with neckstrap and pouch style case. Designed for the medium to long range observation of air and ground targets. The huge 110mm objectives provide incredible light gathering power, which when combined with its high magnification of x15, allows the user to view over vast distances with delightfully bright, crisp, high resolution images. Features long eye-relief, inclined eyepiece tubes and a padded headrest for comfortable viewing. Hand-grips are fitted for rapid and convenient targeting of objects at up to 60degrees vertical elevation. Supplied with heavy-duty wooden tripod. Russian optics have long been acclaimed to be amongst the finest in the world. These traditional Porro Prism binoculars are a testament to this. Finished in leatherette all these models feature precision ground fully coated lenses to provide sharp, brilliant, high resolution images. Built to last with robust bodies and shock resistant caged prisms. Each model is supplied with neckstrap and carrying case. 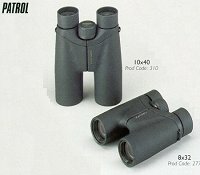 Compact, lightweight, rubber armoured binoculars featuring coated optics providing fine optical performance. Their convenient 'pocketable' size make them an ideal choice for the tourist or casual user. Supplied with neckcord and nylon case with belt loop. These handy sized rubber armoured monoculars feature fully coated optics and are supplied with neckcord and zip case. Their convenient pocketable size make them a must for 'go anywhere' general purpose viewing. 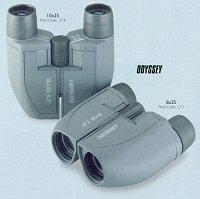 Top quality Japanese observation binoculars ideal for medium to long range terrestrial and astronomical viewing. These star performers all feature superior BaK-4 prisms and are fully multi-coated on all lens surfaces for maximum light transmission, contrast and sharpness of image. The large objective lenses combined with high magnifications provide breathtaking optical performance. All models are fitted with an integral tripod mounting bush, except the 100mm models which have a built-in platform for tripod mounting. Supplied with neck-strap and deluxe hard case. (NB only 100mm models are supplied with aluminium case). 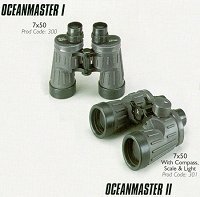 Heavy duty, nitrogen filled, waterproof binoculars of top quality Japanese construction specially designed for professional marine use. Feature superior quality BaK-4 prisms, multi-coated lenses, individual eyepiece focusing and robust rubber armouring. The Oceanmaster II model is fitted with a compass, scale and compass light for navigational purposes. Fitted with tripod mounting bush. Supplied with neckstrap and hard case. Top quality precision made Japanese binoculars finished in luxurious fine soft leatherette. Optical performance is simply stunning, utilising superior BaK-4 prisms and multi-coatings on every lens surface for superlative light transmission, contrast and resolution. Long eye-relief feature for comfortable viewing. Fitted with tripod bush and supplied with neckstrap and carrying case.